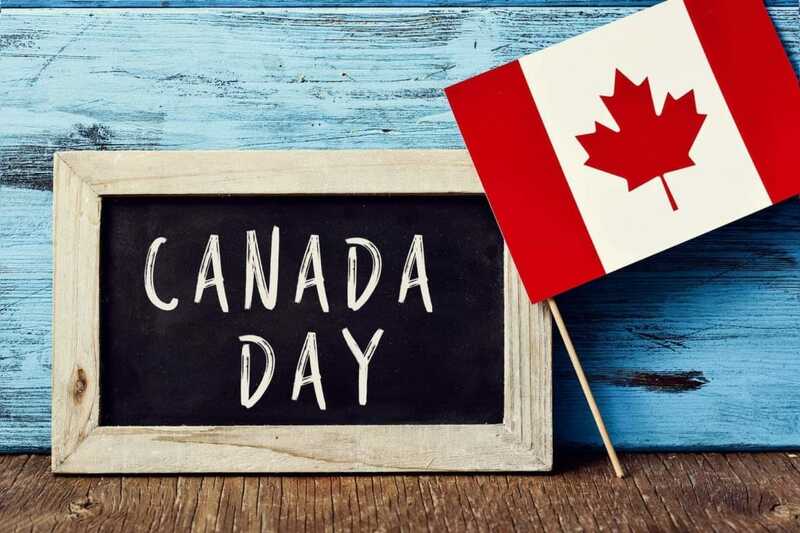 Canada Day activities for preschoolers through second grade. O Canada, our home, and native land. True patriot love, in all our sons’ command. With glowing hearts, we see the rise, the true north strong and free. From far and wide, O Canada, We stand on guard for thee. God keep our land, glorious and free. O Canada, we stand on guard for thee. Set up 5 red and 19 white plastic cups (Dollar store purchases) in a shallow box. A pop can case will work. Participants toss a loonie and see if they can get the loonie into a red cup. A prize could be a Canada Day balloon, maple leaf bookmark, Canadian flag sticker etc. From the oceans to the mountains high! Their beauty makes me cry! 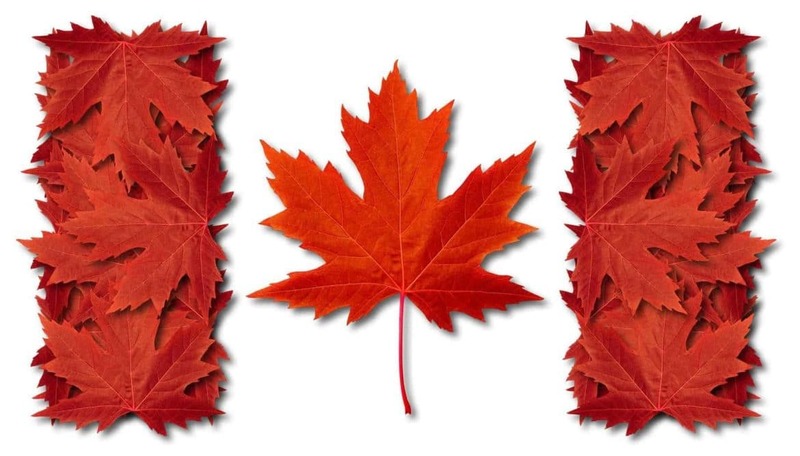 Save your red maple leaves from fall and make a Canadian flag! With a marker, section off the construction paper to make the flag (like the picture above). Have the children glue leaves on the sidebars and then one in the middle. Voila!! A Canadian flag! Have the children glue the leaves around the edge of the plate then glue a leaf in the middle. Easy flag! Buy or make red and white popsicles for a snack. Thread three banana slices onto the middle of the straw or skewer. Thread two chunks of watermelon on each side of the bananas. Talk about the colors in the Canadian flag. If you want to get even more creative, you can cut maple leaves out of the watermelon with a cookie cutter and put it at the end of the straw! Make a red and white jello parfait for each child. Use clear plastic cups and layer it with red and white foods. Be creative!